VIDEO: Katy Perry appears in #ImWithHer Campaign! #ImWithHer#ImWithHer. Are you? See why we’re supporting Hillary Clinton and go to hillaryclinton.com/commit to tell us you’re coming out to vote this year. VIDEO: Zoolander 2 | TV Spot ft Katy Perry! CANDIDS: Katy attends an Adele concert! Katy went to an Adele concert last night in LA (12/02) with Orlando & friends. Photos below. INTERVIEW: Katy Perry talks to New York Times! Q. So how does someone score an invite to this very exclusive party? A. Well, you have to be a creator — it’s artists, producers and songwriters. And it’s a mixture of new and familiar artists, a combination of the past two years’ Grammy nominees and also [acts] from the Spotify Discover playlist. It’s Kacey Musgraves, Karen O, Miguel, Tove Lo, Shirley Manson, Max Martin. Then up-and-coming songwriters like Blood Pop and Bonnie McKee all under the same roof as Diane Warren. In some ways, I’m trying to start the Met Ball of music. But publicists and managers aren’t welcome? They are not creators. They’re important to the creation, but it’s only artists, producers and songwriters. There’s a press opportunity in the front, like a red carpet, but if you want to be more low-key you can arrive via garage. I’m trying to keep it as pure as possible because in the eight years that I’ve been going to these things, I am just always so exhausted. I actually went to Spotify to get informed on the world of streaming. Two years ago, it was like, “Streaming, streaming, streaming!” And I was like, what is streaming and what does it mean for me? Being in between records, I just want to educate myself on what I’m going to do next and how I’m going to present my music. So I went in there, and they were really transparent with me. You hear some things, but until you ask the questions and get informed and educated, it’s a totally different thing. One point of this night is to be able to help artists get more informed about the future, as well. 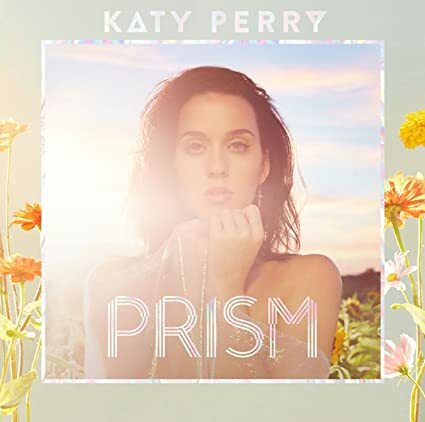 Katy celebrates producer, Max Martin! Katy Perry nominated in iHeartRadio Music Awards! CANDIDS: Katy spotted in LA w/ Orlando & family! Katy was spotted with Orlando Bloom (& his son) in Los Angeles yesterday arriving at a birthday party together. PHOTOS: Katy & Orlando spotted in LA! Katy & Orlando Bloom were spotted leaving a restaurant together in LA alongside some friends. Photos below. CANDIDS: Katy attends a business meeting in LA! Katy was spotted attending a business meeting in Los Angeles last night (21/01). HQ candids below. Katy Perry teases us with Zoolander 2 cameo! Katy confirmed today on Instagram that she will be appearing in ‘Zoolander 2’! Check out her instagram video below!